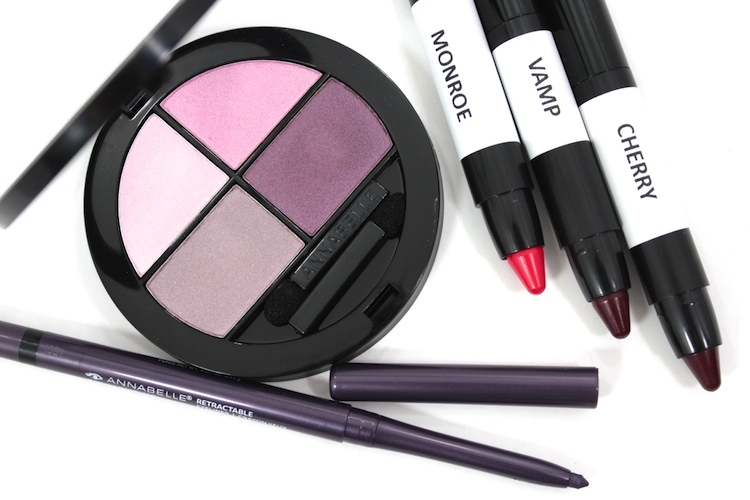 Annabelle Cosmetics has come out with a couple new product launches for Fall. 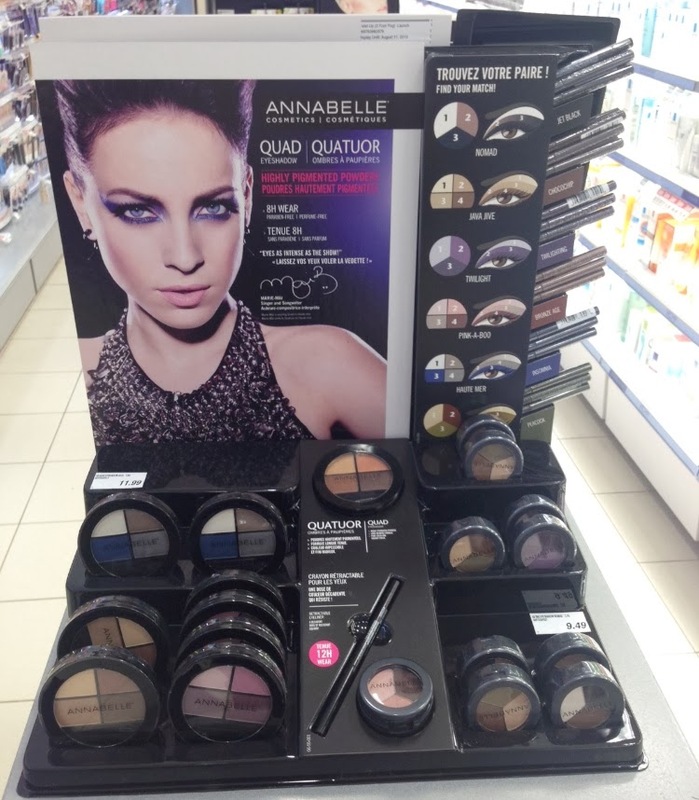 I've already seen the eye products in store -- I spotted a display at Shoppers Drugmart. I received a few products a couple weeks ago, so I thought I'd share them with you. I love Annabelle's eyeliners. My favourite is the Smoothliner in Brownie, but I'm also loving their new retractable eyeliner. I have the shade Twilighting*, a smokey purple shade, and it's a great colour. I usually wear blacks and browns, so it is a nice change. Application is smooth, no tugging, and it lasts quite a while. I love that it's retractable -- no sharpening necessary. However, if you want a precise line, it has a built-in sharpener to create a pointy tip. I will definitely be picking up other colours. There are six brand new eyeshadow quads, from neutral shades to smokey shades. I have the quad in Pink-a-Boo*. The colours range from purples to pale pinks. 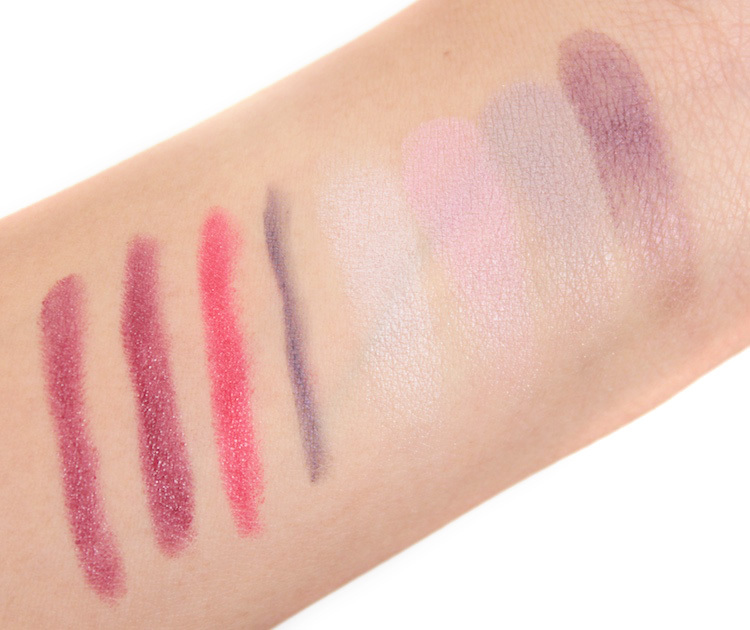 Each shade feels silky and smooth, and are fairly pigmented (or at least the deeper shades). They're very easy to work with. I want to pick up the more neutral palettes, like Java Jive and Chai Chai Chai. I recently discovered these lip colours & I'm loving them. 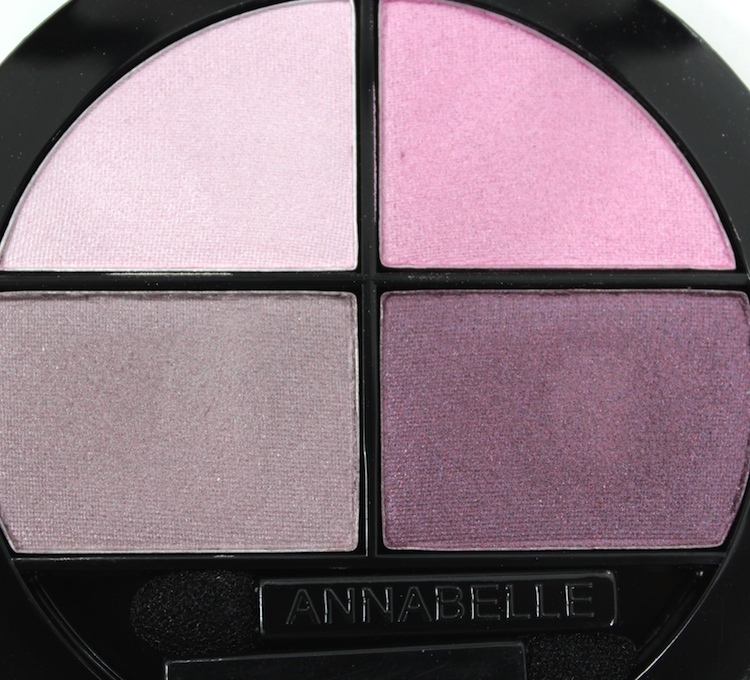 There was already a nice colour selection, but Annabelle is adding 12 new shades. From brights to reds to nudes to bordeaux. The creamy texture is comfortable on the lips (fairly hydrating). I love the twisty convenience -- no sharpener required. 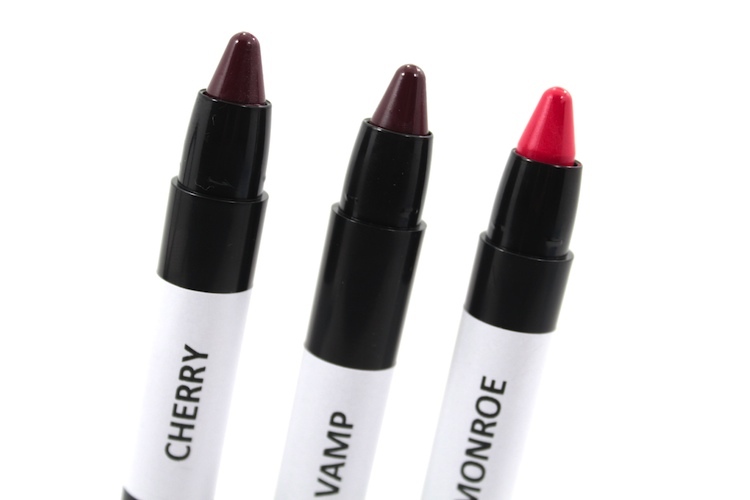 I received the shades Monroe* (bright red), Vamp* (wine bordeaux), and Cherry* (dark red wine). I'm sure Cherry was mislabelled because it seems to be the exact same shade as Vamp, but Vamp does look like it will be a perfect shade for Fall. What products have you tried from this Canadian company? never heard of this brand but the quad looks pretty nice! you know...living in canada i haven't tried a single marcelle or annabelle product! i really need to get on that.